Jack Fenton went to be with his Lord and Savior Tuesday, January 29, 2019 surrounded by his family. 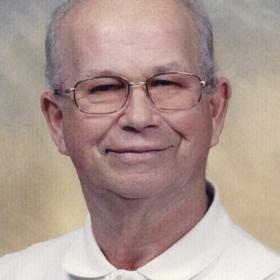 Born July 28, 1931 to Elwood and Clara Fenton in Wayland Township, Jack Fenton began his farming career at the age of 7 after the unexpected death of his father. In 1950, he graduated from Wayland High School. Shortly after Jack and his brother Eugene established Fenton Brothers’ Dairy Farm. He married Patricia Wilcox (Lang) on January 6, 1966 and over the years they built a family of six children: Tammy, Deborah, Mary, Susan, Jack, and Jeff. During this time, Jack sat on multiple boards focused on schooling and West Michigan dairy and agriculture. In 1979, in addition to their farming business, Jack and Pat established Fenton’s Red Barn, serving the Martin community until 1996. They sold the farm and restaurant in 1996, to focus on each other and family by vacationing in Traverse City, Michigan and Sun City, Florida. Jack was preceded in death by his two brothers Charles Fenton and Eugene Fenton, Sister Anne Fenton, and Grandson Thomas Fenton. Surviving are his wife Patricia Fenton of 53 years and children: Tammy (Russell) Quick, Deborah (Keith) Thayer, Mary (Jerry) Bronkhorst, Susan (Kevin) DeKoekkoek, Jack (Shauna) Fenton, Jeff (Amanda) Fenton, Grandchildren: Dustin (Jillian) Quick, Shelby (Sean) Peckham, Robert McKenzie, Anna and Clara Bronkhorst, Aren DeKoekkoek, Hunter, Pyper, and Avarie Fenton, Great-Grandchildren James and Olivia Peckham, many nieces and nephews and a special brother-in-law James Sanford. Visit with his family and friends on Friday, February 1 from 4:00 to 7:00 p.m. at the McCowen & Secord Funeral Home Marshall & Gren Chapel; 120 S. Woodhams St. Plainwell, MI 49080. A funeral service will be held on Saturday, February 2 at 11:00 a.m. at the East Martin Christian Reformed Church; 1782 5th St, Martin, MI 49070. Please visit Jack’s memory page at www.mccowensecord.com where you can archive a memory or photo and sign his memory book online. Memorial donations can be made to the Wings of Hope Hospice in Allegan MI.